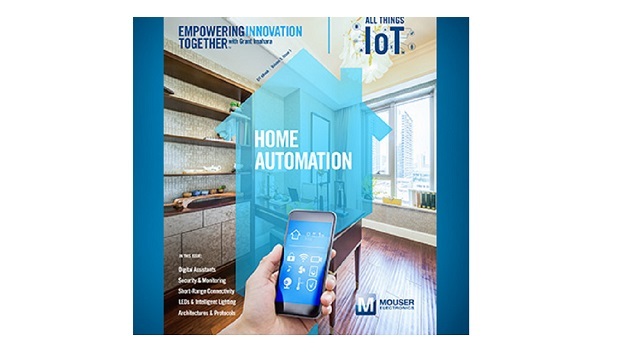 Mouser Electronics Inc. released a new e-book focused on home automation as part of All Things IoT, the latest series in Mouser’s award-winning Empowering Innovation Together program. In the first of three e-books in the series, Mouser experts explore the engineering behind the Internet of Things (IoT) that is automating our homes, offices and industry and changing the way we live. 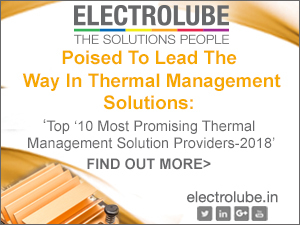 Topics include best practices in building a home automation system, intelligent lighting, and comparisons of short-range communication technologies. The All Things IoT series is sponsored by Mouser’s valued suppliers Digi International, Maxim Integrated, Murata and TE Connectivity. 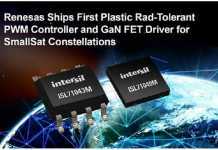 Mouser launched the All Things IoT series with a video featuring celebrity engineer Grant Imahara. In the video, Imahara visited with Gerald Kleyn from the Hewlett Packard Enterprise (HPE) IoT Innovation Lab to look into the lab’s innovative case studies that examine how IoT is impacting our workplaces and cities as a whole. Since 2015, Mouser’s Empowering Innovation Together program has been one of the most visible and recognized programs in the electronic component industry, featuring the future of human-machine interaction in Generation Robot and the amazing benefits of technologies that are Shaping Smarter Cities. For 2018, Mouser’s goal is to reach even more innovators around the globe with the Empowering Innovation Together program, focusing on how robots impact humanity.